Do you think you've got what it takes to get behind the wheel without being able to see anything? Blindfold Driving is the perfect way to stregthen bonds in your team and have a fun away day all at the same time! 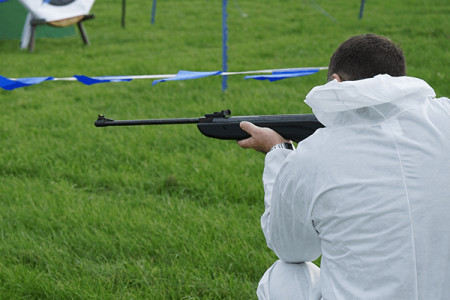 Join us at our venues in Perth or Edinburgh with your team and enjoy Blindfold Driving. One of your team will get behind the wheel with a blondfold in whilst the rest of you will attempt to guide them round the course. They will be driving one of or very own Land Rovers. 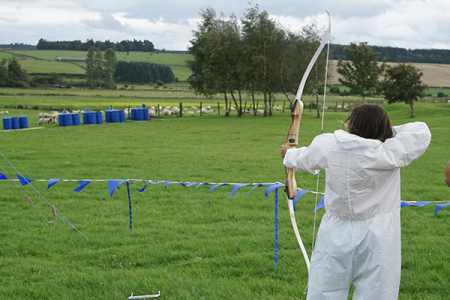 This is a brilliant activity for your team away day in Scotland, it also works perfectly when it is paired with Archery & Air Rifles for a brilliant afternoon of activities! “Blindfold Driving was so much fun! It was quite a challenge but that's why we all loved it. We also ad an amazing BBQ straight after - we had definitely worked up an appetite! Thanks to the office staff for organising such a brilliant Team Away Day for us and to the world-class instructors!"